Everytime it appears the Measure Z Oversight Advisory Committee is dead it mysteriously comes back to life. UPDATE: Checked the city of wildomar’s park web page, a website separate from the cities official page, and low and behold there is a cancellation notice. Thursday nights meeting has been adjourned to September 8, 2016. (Problem being that night is already scheduled for another event, same place same time) guess Measure Z will be rescheduled again. The most recent death appears to be the August 25, 2016 meeting, which has been on the city calendar for several months. As of this writing, at 9:30 pm August 22, 2016 (less than the requisite 72 hours) there is no agenda posted. 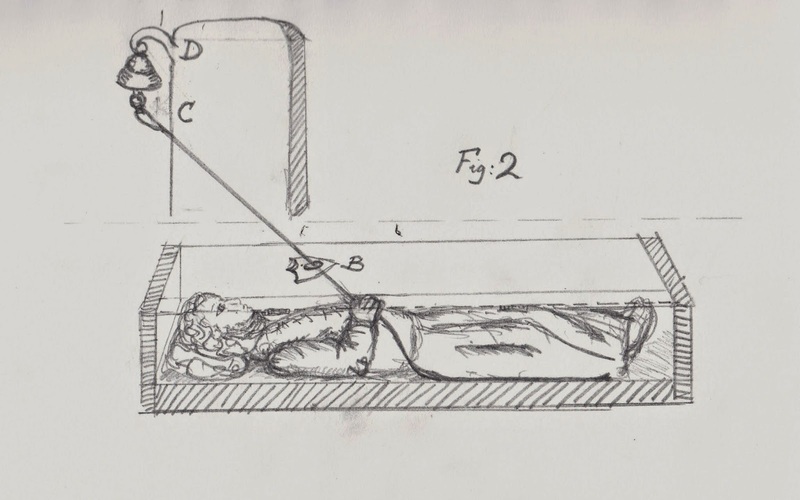 The previous death and revival occurred starting with the May 26, 2016 Regular Scheduled meeting. This meeting was to originally occur on May 26, 2016 at 6:30 pm. This date was set back on August 27, 2015, a change from previous years, at the encouragement of staff due to difficulty in generating financial reports on time. 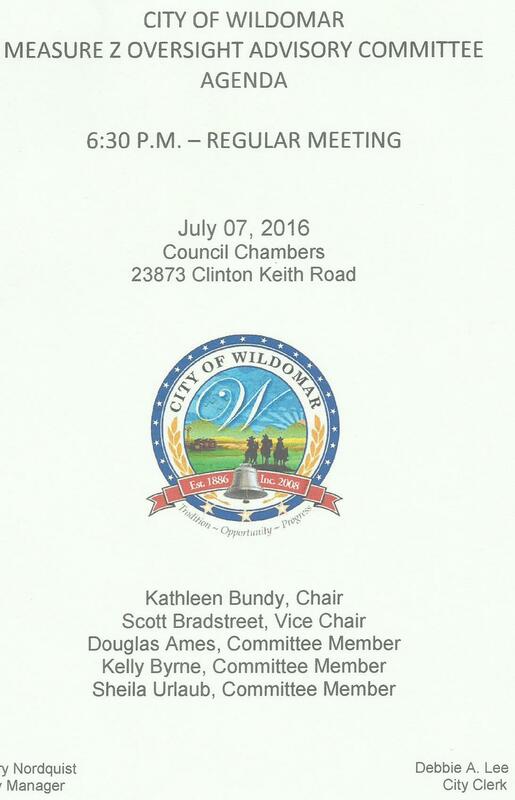 On May 24, 2016 @ 6:42 pm (47 hours 48 minutes prior), by e-mail blast without explanation, this meeting was adjourned to an Adjourned Regular Meeting on June 30, 2016. The regular meeting of the Measure Z Oversight Committee of May 26, 2016 is adjourned to June 30, 2016. 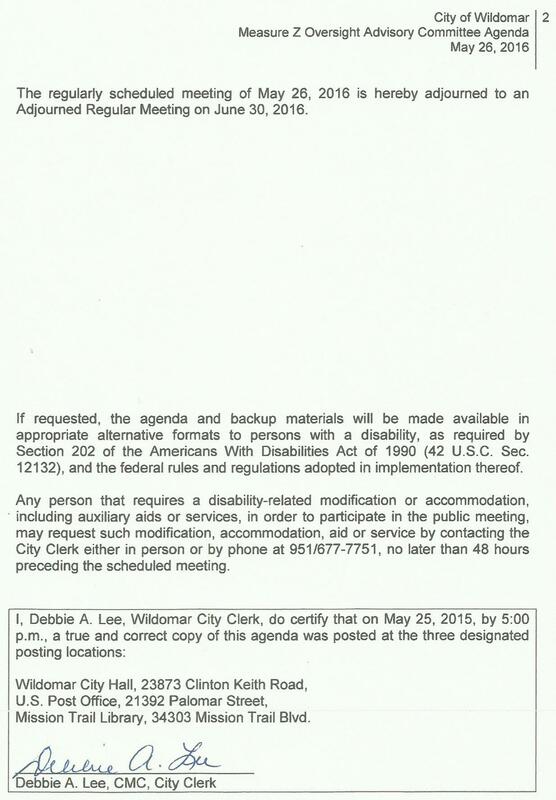 On May 25, 2016 at 5:00 pm (25 hours 30 minutes prior) this meeting, certified by the city clerk as being posted in three locations, was adjourned to an Adjourned Regular meeting set to occur on June 30, 2016 at 6:30 pm. No explanation was given for adjournment. On June 27, 2016 at the required 72 hours prior to the June 30, 2016 meeting no agenda was posted leading one to believe this meeting was not going to occur. 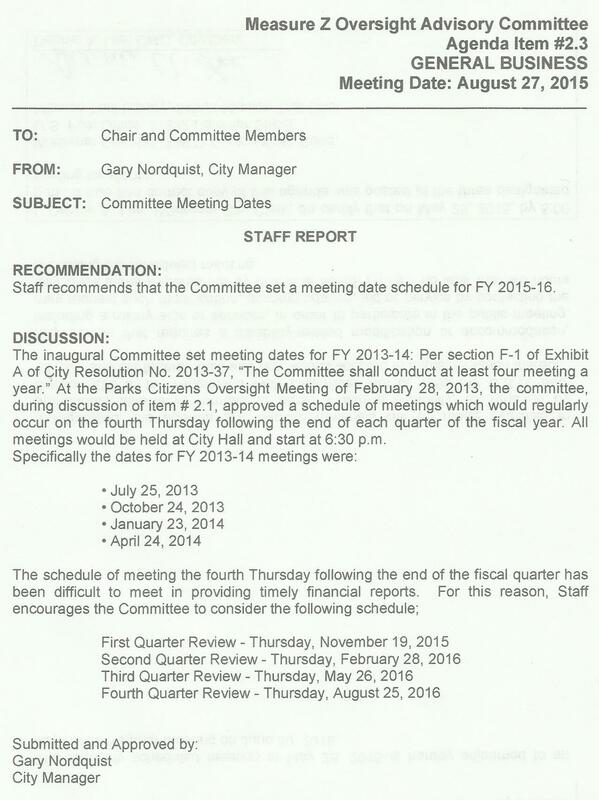 On June 30, 2016 at 5:27 pm (one hour and 3 minutes prior), by e-mail blast, notice was given that the Measure Z Oversight Advisory Committee would meet in a regular meeting on July 7, 2016 at 6:30 pm. Missing in all of this is what happened to the June 30th meeting. and in the posting for the July 7, 2016 meeting refers to as Members Chair, Vice Chair and Members. None of the three members have been sworn in to their positions, no meeting has occurred since the term of the three expired on February 28, 2016. Is city staff now anointing its citizenry. This entry was posted in Daily Ruminations, Future City of Wildomar, Parks, Shenaigans and tagged Wildomar City Attorney, Wildomar City Clerk, Wildomar City Council, Wildomar City Staff on August 23, 2016 by Kenny.